When you look through the history books, it is pretty obvious that African Americans do not make much of an appearance. And as February comes, we are usually reminded of the greats like Martin Luther King, Harriet Tubman, Malcom X, and Rosa Parks. While their contribution to society is greatly appreciated, there are many other influential #black people—much less black women—who do not get the recognition they deserve. These women helped shape our society into what it is today, and while they do not get much recognition, their contributions are still felt today. Ella Baker was a civil rights activist who worked in the shadows. Starting in the 1930s, Baker fought for civil rights for black people for 5 decades. She worked beside W.E.B Dubois, Thurgood Marshall, and even Dr. Martin Luther King. Would you be surprised to know that she even acted as a mentor to Rosa Parks? Diane Nash was a strategist and leader for the student division of the Civil Rights Movement. She was also a member of the Freedom Riders. She helped create the Student Nonviolent Coordinating Committee and the Selma Voting Rights Committee campaign, thus helping Southern blacks to be able to vote and gain power in politics. Dubbed the “Grandmother of the American Civil Rights Movement,” Clark played a key role in getting the black community the right to vote. She was also an educator who worked around the clock in an effort to teach black adults how to read. When Jimmy Carter was in office, he awarded her the Living Legacy in 1979. If you’ve ever heard the phrase, “I’m sick and tired of being sick and tired.” She was an activist and was crucial in organizing Mississippi Freedom Summer for members of the Student Nonviolent Coordination Committee. She then went on to become the Vice-Chair for the Mississippi Freedom Democratic Party. 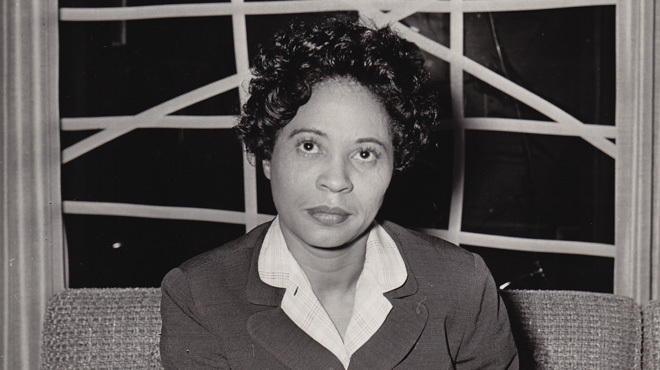 Not only was Daisy Bates a civil rights activist, but she was also a publisher and author. She had a key role in the Little Rock integration crisis during 1957. Prior to the crisis, in 1941, Bates’ husband created their own newspaper called the Arkansas State Press. The paper would become the voice of civil rights way before the movement was even nationally recognized. During the 60s, she worked on the Democratic National Committee and worked for President Lyndon B. Johnson’s administration. Here, she pioneered programs that would help to eliminate poverty.